The Bureau of Labor Statistics estimates that demand for accountants will grow 10% between 2016 and 2026, which is faster than the national average for all careers. The rate of growth is much higher in Georgia specifically where it's projected at 23% between 2014 and 2024. By that time there will be 49,160 professionals employed in the state earning a median wage above the $68,990 estimated in 2016. Take advantage of growing job opportunities and salary expectations by learning how to become a CPA in Georgia. CPA review courses offered though accredited colleges and universities are acceptable as long as students receivecollege credit. CPA review courses offered through commercial outlets are not acceptable. Online and correspondence courses are acceptable as long as college credit is granted. Accounting internships are acceptable but may only constitute two courses on a college transcript. Upper-level accounting courses offered though two-year or junior college are acceptable as long as credit for those courses is recognized by a four-year college or university. College Level Examination Program (CLEP) courses are not recognized. 30 semester hours in accounting above the introductory level. Examples of upper-level subjects include taxation, corporate accounting, government and non-profit accounting, business law, and accounting ethics among many others. 24 semester hours in business-related subjects. Examples include marketing, management, ethics, international business, economics, computer science, and many others. Students who earned an accounting degree from an international institution must contact the National Association of State Boards of Accountancy (NASBA) to request an education evaluation. This determines whether foreign degrees/coursework meet the standards of accredited American institutions. If a degree is determine to be equivalent, the NASBA informs the CPA Examination Services that a candidate has met the education requirements in Georgia. Download an official application form or register online with the CPA Examination Services (CPAES). An official college transcript – This may be submitted by the applicant rather than the college or university. A foreign education evaluation from if applicable. An ADA accommodation form, if applicable. The application fees, payable by check, money order, or credit card to the CPAES. Mail all relevant application documents to CPA Examination Services - GA, P.O. Box 198469, Nashville, TN 37219. Look for a Notice to Schedule (NTS) to arrive via mail, fax, or email from the NASBA. This simply informs candidate they have met the requirements for testing and are allowed to sit for the Uniform CPA Exam. Prepare for the exam and arrive at the testing location on the correct date. The exam requires a significant personal and financial investment and it also essential for CPA licensure, which is why passing on the first time is a priority. Wait to hear back about the exam results. Official results are sent through the mail, but scores are posted online 48 hours after the exam is administered. All licensed CPAs in Georgia must acquire extensive on-the-job experience in order to learn real-world, hands-on skills. Candidates have several options for where, when, and how they acquire this experience. The experience must be supervised by a CPA with an active Georgia license. Candidates must work as a staff accountant handling things like attestation, compilation, financial advisory, tax preparation, or consulting. The employment must be at a federal, state, or local agency that is supported by public funds and participates in accounting and auditing. Anyone employed by the Internal Revenue Service (IRS) must be a GS-11 or higher for the experience to count. Candidates must teach accounting at a four-year college or university. At least two of the courses taught must be at an upper level. Candidates must teach at least 24 semester hours within a minimum of 12 months and a maximum of 36 months. Courses must be directly related to accounting. Topics like finance, economics, or statistics are not considered applicable. Complete the first page of the Certificate of Experience form found in the CPA certificate packet. The employer completes the second page and returns the entire document to the candidate in a sealed envelope. Verify the professional experience online as part of the digital CPA application. Verification includes the Supervisor's name, CPA license number, issue date, and expiration date. If the licenses was awarded in another state it must be verified using the Employer’s Licensure Verification form in the application packet. A Certificate of Expertise completed by the candidate's supervisor and contained in a sealed envelope. An official college transcript contained in a sealed envelope. The Employer Verification Form if the supervisor's license was issued in another state. A signed consent form authorizing the board to perform a background check. Payment for all relevant fees. Payment should be made to NASBA Licensing Services in the form of certified check, money order, or credit card. Send the application and all relevant supplemental documents to NASBA Licensing Services – GA, P.O. Box 198589, Nashville, TN 37219. Wait to receive official notification from the NASBA that the license application has been reviewed and approved. Candidates who have a CPA license in another state may be able to get a reciprocal license as long as they meet the conditions below. If so, the licensure application process is largely the same, but applicants must include an Authorization for International Exchange form permitting the state board to request information from another jurisdiction. 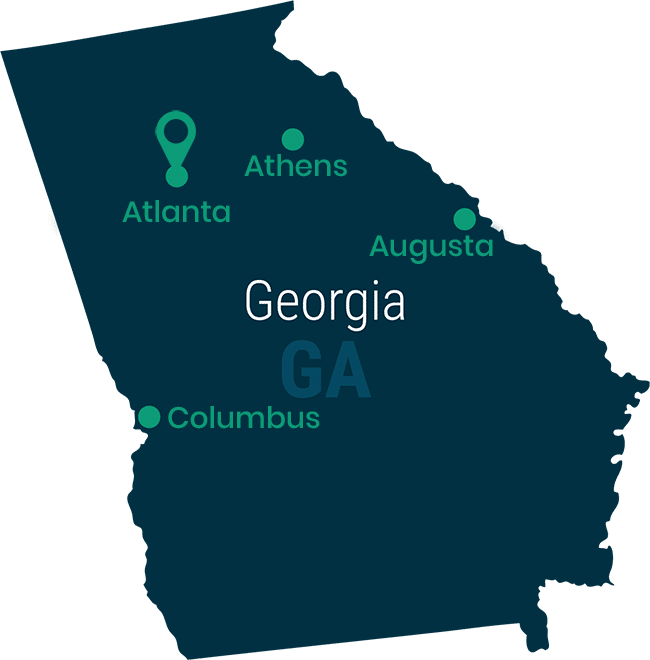 States that offer reciprocal licenses to Georgia CPAs. Puerto Rico and the Virgin Islands are excluded. Candidates who already meet Georgia's requirements for education, examination, and experience. Candidates who establish residence as well as a primary or occasional place of business. Candidates who have a CPA license in another country may also be able to get a reciprocal license. Georgia specifically recognizes licenses issued in Australia, Mexico, Canada, Ireland, Hong Kong, and New Zealand with some exceptions. Candidates who are able to provide a letter of good standing from the original licensing office are permitted to take the International Qualification Examination and expedite the application process. 16 hours of CPE must be dedicated to accounting and auditing specifically. CPE is not required if a CPA license is less than one year old. If a license is less than two but more than one year old the CPA is required to complete 40 hours of CPE with 20% focused on accounting and auditing. CPAs must earn at least 20 hours of CPE each year. Up to 15 hours may be carried over to the next two-year period. CPAs over the age of 70 are exempt from the CPE requirement. Approved subjects include accounting, auditing, taxation, computer sciences, mathematics, ethics, business management and most accounting-adjacent topics. CPE must be offered through approved providers. These include colleges and universities, professional organizations, and independent study programs. The state board does not pre-approve CPE providers, but professional accounting organizations throughout Georgia do maintain lists of acceptable sources of CPE.